Why Is Ted Cruz — Given Name Rafael — Picking On Nicknames? Sen. Ted Cruz smiled Wednesday when an interviewer raised the obvious point about his deriding an opponent for using a nickname: Cruz uses a nickname too. 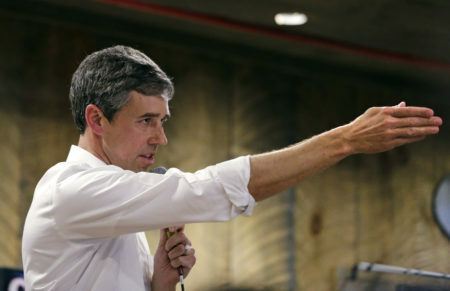 O’Rourke responded Wednesday with his own tweet : a childhood photo of him wearing a shirt inscribed “BETO” in block letters. Cruz said in the interview Wednesday that “some of it is just to have a sense of humor.” After saying his full name, Cruz told the story of his father, who immigrated to the United States from Cuba. 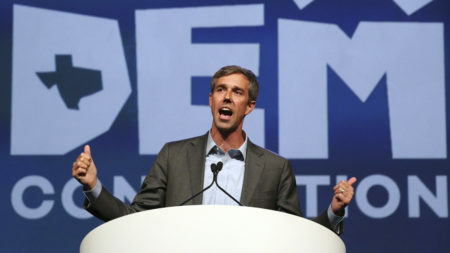 Mark Jones, a Rice University political scientist, said one implied motive might be to remind Texas voters that O’Rourke isn’t of Latino descent. While Democratic primary turnout surged past 1 million on Tuesday, it was still well short of the more than 1.5 million people who voted in the Republican primary. 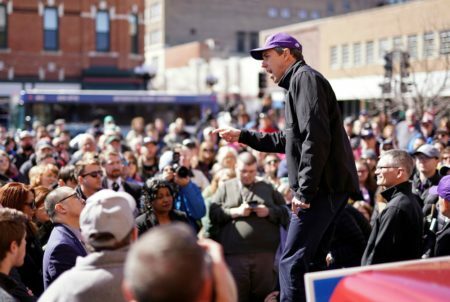 Despite having fundraising success and drawing national attention, O’Rourke enters the general election against Cruz as a heavy underdog. Any Democrat hoping to win statewide in Texas and break a 24-year losing streak for the state party will have to draw lots of Latino voters to the polls. 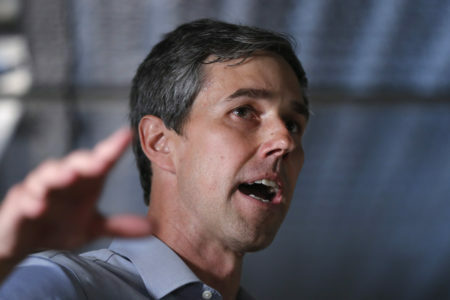 Even though O’Rourke speaks Spanish — while Cruz admitted in a 2012 interview that his Spanish was “lousy” — he is of Irish descent. “His best option going against O’Rourke is to lower O’Rourke’s likability among Texans so that they view them in an equal manner,” Jones added. Asked in a separate CNN interview if he would respond with his own song, O’Rourke declined. Photo by Michael Vadon. Creative Commons license.